Samsung seems to have perfected the art of turning everyday objects into weapons of mass destruction. After its flagship Note 7 phones started spontaneously exploding earlier this year, leading them being banned on flights across the world, Samsung has now recalled 28 lakh washing machines because they pose grievous danger to those around them. 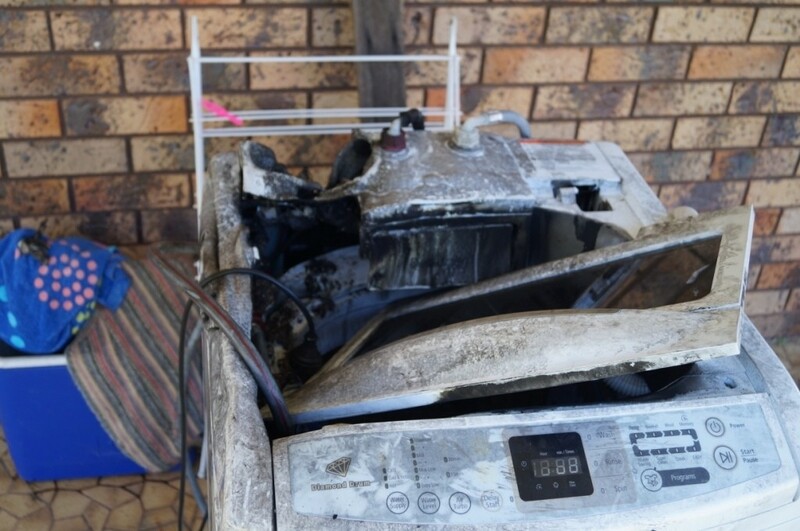 “The washing machine top can unexpectedly detach from the washing machine chassis during use, posing a risk of injury from impact,” the Consumer Product Safety Commission announced. Samsung has received “733 reports washing machines experiencing excessive vibration or the top detaching from the washing machine chassis.” There have been nine reported injuries so far, including a broken jaw and injured shoulder. The company is now offering two options for users – they can either get their machines repaired at no additional fee, or a rebate and a loyalty incentive towards the purchase of a new washer. Samsung’s 2016 is fast turning out into a farcical nightmare. Earlier this year, its Note 7 phones, thought to be a competitor to the iPhone 7, started exploding across the world, causing serious injuries and damage to property. They were then banned on flights, including in India, and the explosions were endlessly lampooned on the internet. Samsung’s reputation, though, took a serious beating, leading to a fall in its shares. Samsung lost over Rs. 1,50,000 crore in market value from the incident. And this latest report on its washing machines turning into deadly flying projectiles won’t help. Samsung tried to sell washing machines, but its status is being a top global electronics manufacturer is being hung out to dry.